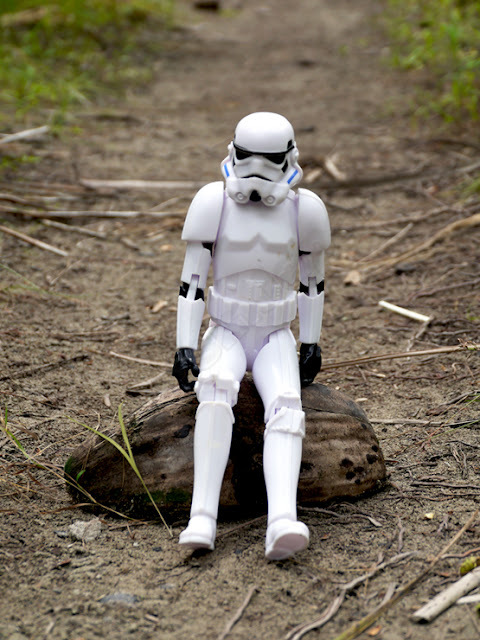 I am a huge Star Wars fan, that much is true. I carry my computer to work in a Star Wars bag. I drink my tea out of a Star Wars cup. Even my cat has her own Star Wars dish. 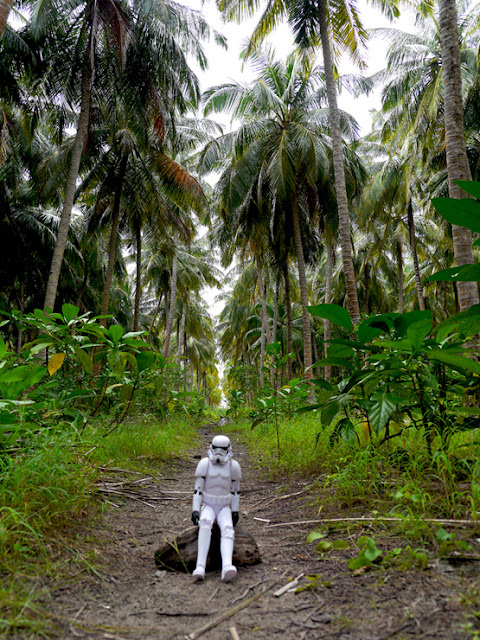 To be honest, I was never that much into Star Wars Rogue One. Yeah, it was an OK movie, but just OK. It seemed very paint by numbers to me. Noooo... I'm not a Rogue One fan... 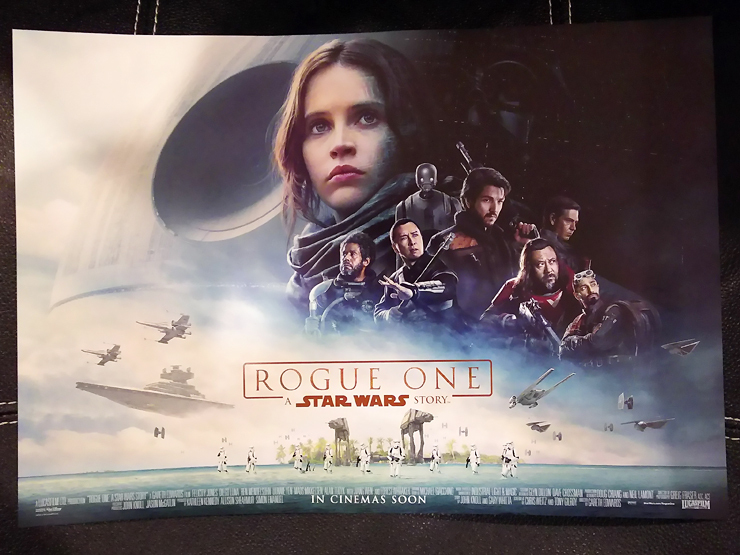 This mousepad just casually fell into my lap after the premiere screening. Actually, two of them, to be exact. When I realized that visiting planet Scarif was very much possible, I was on expedia booking my tickets faster than Luke could draw his lightsaber. So much for not being a Rogue One fan. Ha! And when I realized that I could stay at the same place that the filming crew did? Yeah, I was all packed and ready to go. Instead of an interstellar transport vessel, I took a bus to Haneda Airport in Tokyo and got on a flight to Dubai. In Dubai I transferred to a flight to Male'. This stupidly named city (yes, with that dangling apostrophe at the end) is the capital of Maldives. 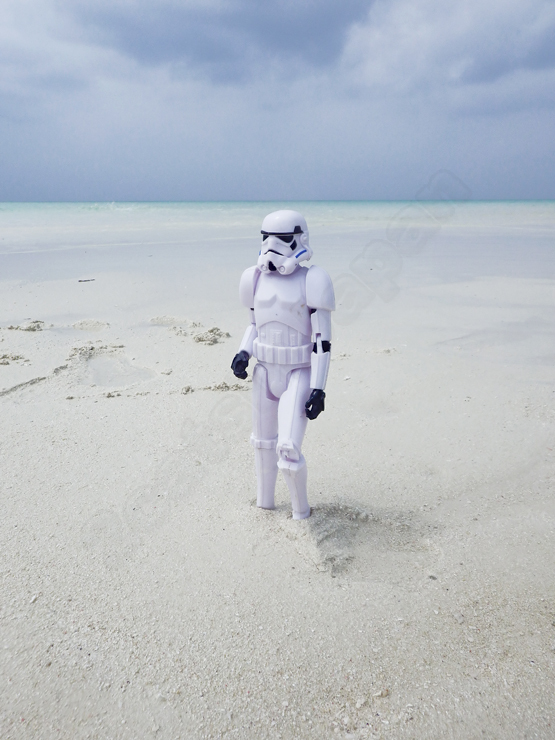 Because Maldives is where planet Scarif is at. At Velana International Airport in Male' I switched from my swanky Emirates ride (free upgrade to business class, ha!) to a domestic flight to a place named Kadhdhoo. Seriously. Kadhdhoo. 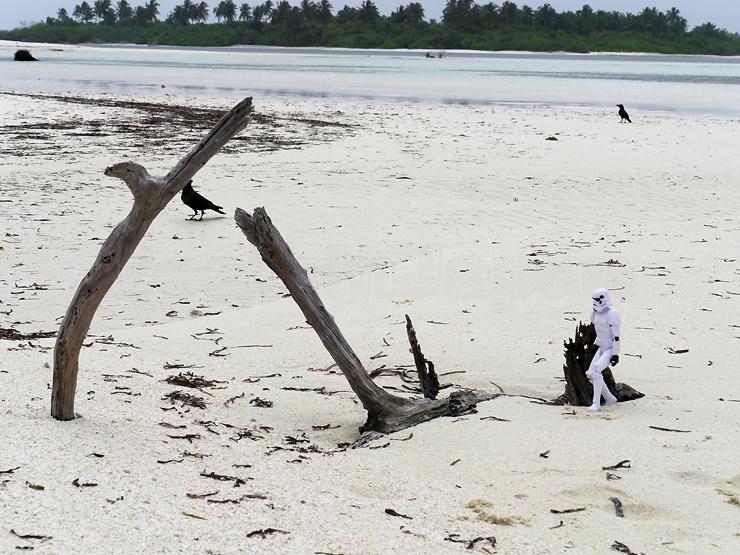 This lovely Star-Warish-sounding island is located in Laamu Atoll in Maldives. Because it is in Laamu Atoll where you can find planet Scarif. The biggest island in Laamu is called Gan. 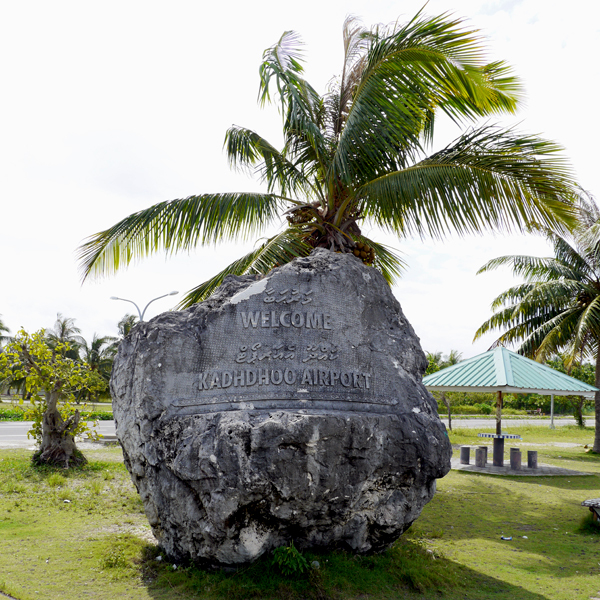 It's connected to Kadhdhoo by a proper paved causeway with street lights and all, built by China as a token of Chinese love and affection for the crystal clear waters of the Maldivian Indian Ocean. Or something like that. Confusingly, there are three different Maldivian islands called Gan, and in my excitement I almost booked a flight to the wrong one. Fortunately, my guesthouse on the proper Gan sorted the domestic transfers for me and thus spared me a major embarrassment. What can I say? Geography of small island countries was never my strong point. 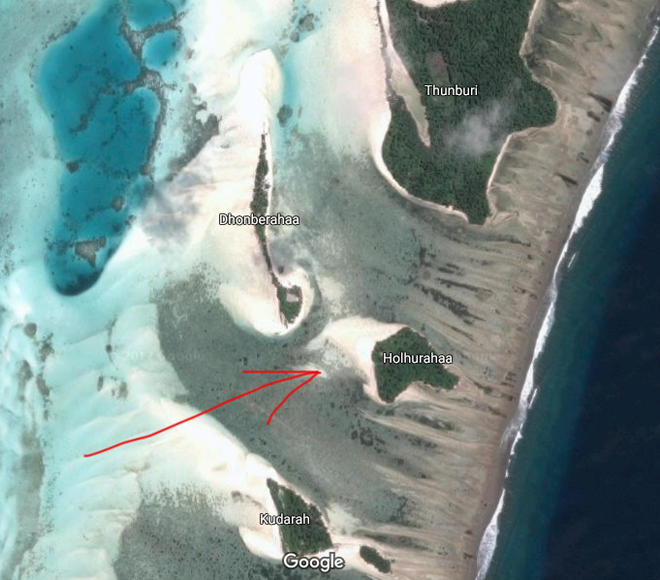 This is Laamu Atoll with the three shooting locations marked in red for your convenience. 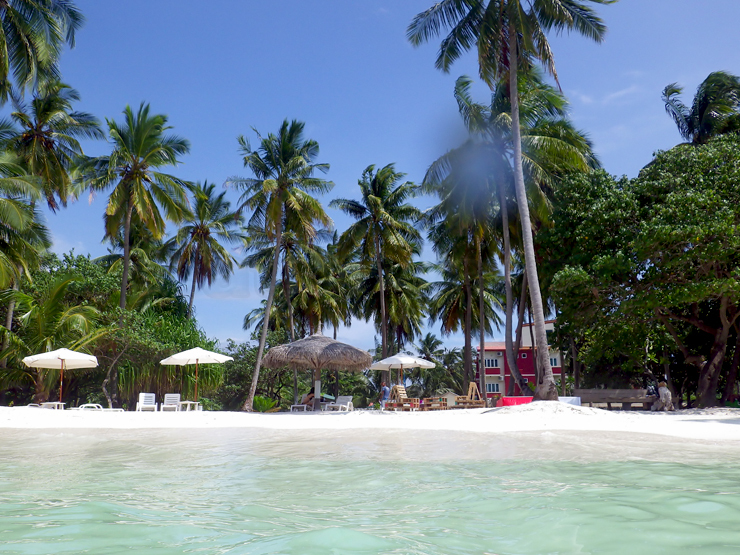 I stayed at Reveries Diving Village and I picked this guesthouse after debating long and hard. Previously I had a different guesthouse in mind, but Reveries won me over with their professionalism and courtesy. And honesty. How did we live before GoPro? The other guesthouse, even though they promote and advertise their Star Wars tours very aggressively was less than forthcoming when it came to answering basic questions. Such as "Are there TVs in the rooms?" and "Do you have a diving instructor on staff?" The answers they didn't want to give me were "no" and "no". Reveries had both. 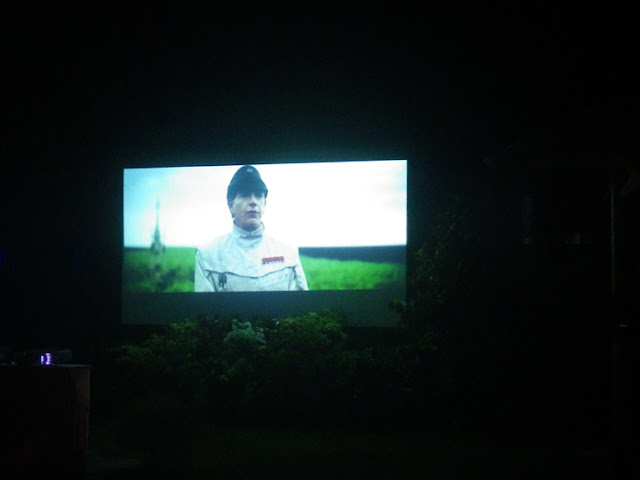 And a giant outdoor screen in the garden, so one night we could eat our dinner outside and enjoy Rogue One under the stars. Reveries also had one more thing that other guesthouses on Gan didn't. Staff members that actually worked as support on Rogue One. Their gym was turned into a makeup room during the shooting. Their manager of operations ferried filming crew back and forth between Gan and the shooting locations. And while the stars of the film were accommodated on a luxurious safari boat, the rest of the crew stayed on Gan. 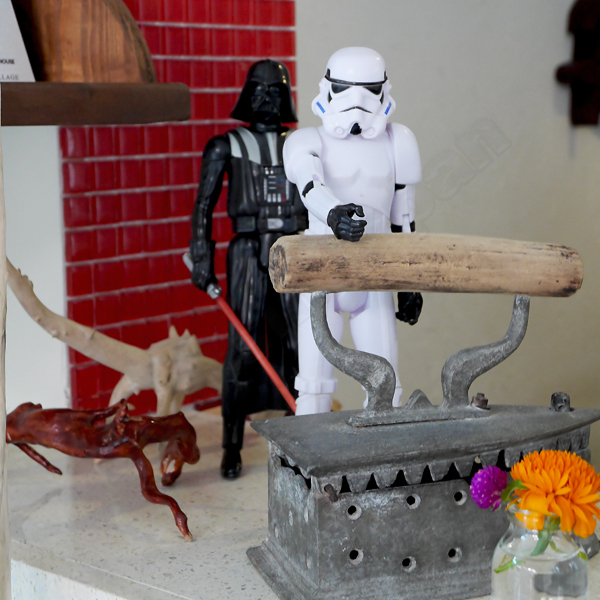 So when these guys greet you at the front desk, you know you are at the right place. 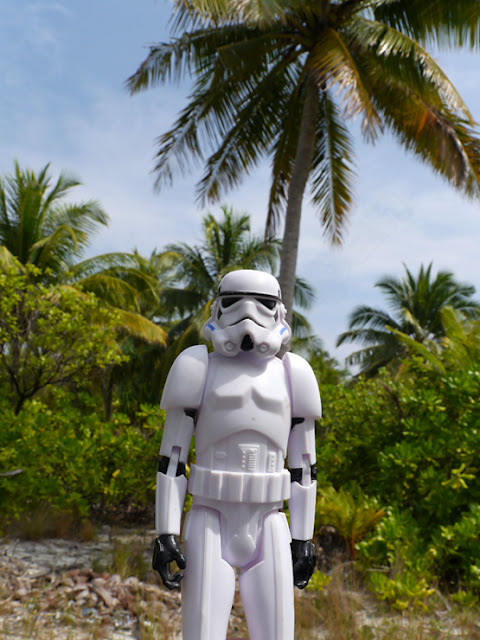 Regardless of what other news and fan outlets say, planet Scarif is actually three different islands in the Laamu Atoll. And regardless of what other news and fan outlets say, Gan is not one of them. 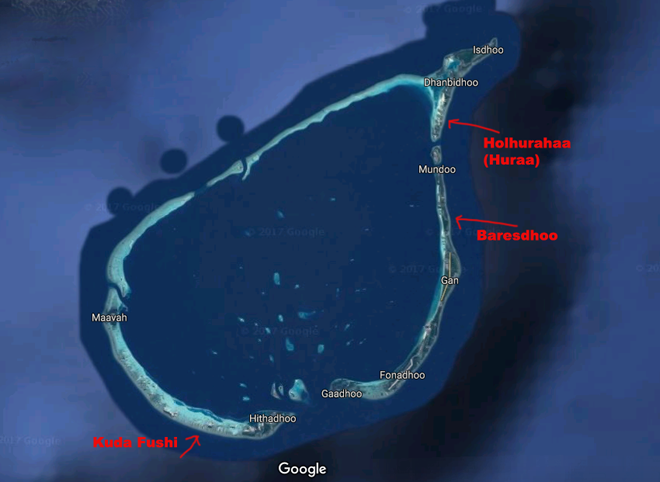 Baresdhoo and the island known as Huraa are close enough to Gan that they can be visited in one day. Kuda Fushi is all the way across the atoll. 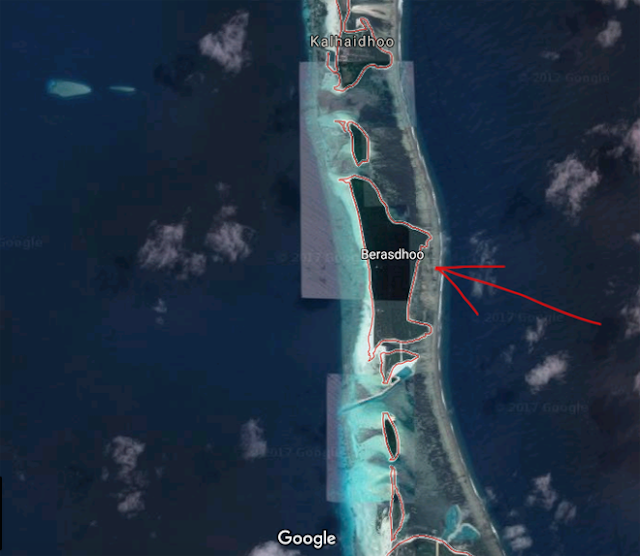 It takes about 15 minutes from Gan to Baresdhoo by motorboat. Baresdhoo is a public island, nobody's living there right now. But that will change very soon, as the government has a very ambitious project to turn it into a guesthouse island. Maldives is known as one of the most expensive travel destinations in the world. Say "Maldives" and people immediately imagine water villas with glass floors and private resorts. 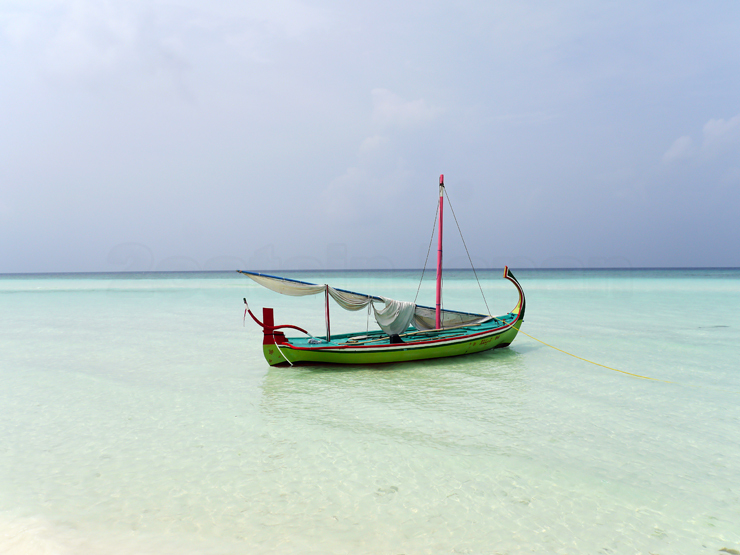 And yes, Maldives is all that, and more. However, in 2009 the government allowed for private citizens to open budget guesthouses on inhabited islands, and the hoi-polloi, like me, could finally travel to paradise as cheaply as possible. Staying in a guesthouse on an inhabited island (as opposed to a resort on a private island) has its advantages and disadvantages. The main advantage is that it's cheap. 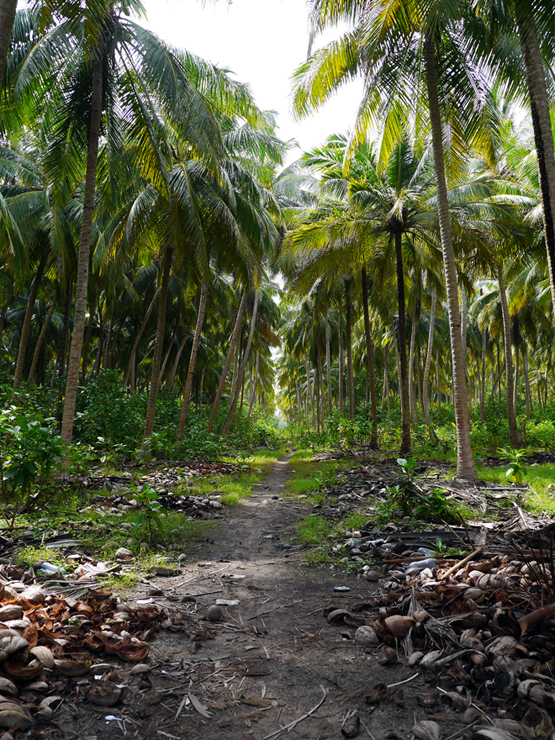 Plus you get to see how average Maldivians live. The main disadvantage is that there is absolutely no alcohol allowed. Sharia law and all that. 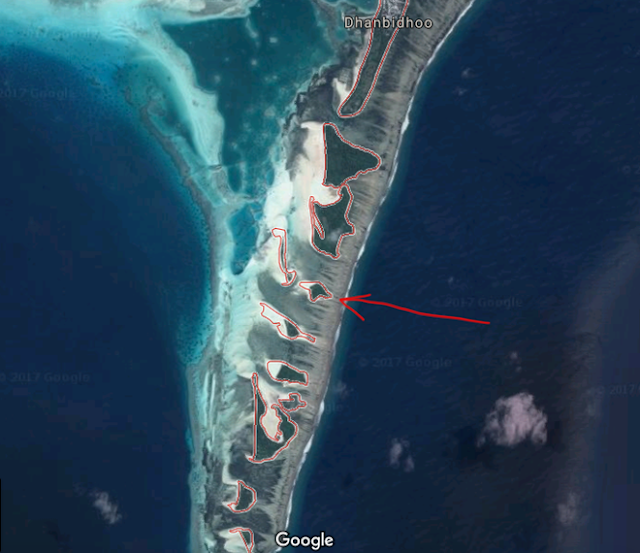 So yes... the first guesthouses on Baresdhoo are scheduled to open in 2020. There's also a very ambitious plan to extend the causeway to Baresdhoo, but that all depends on our friendly Chinese road builders and how much they value the everlasting Maldivian friendship. 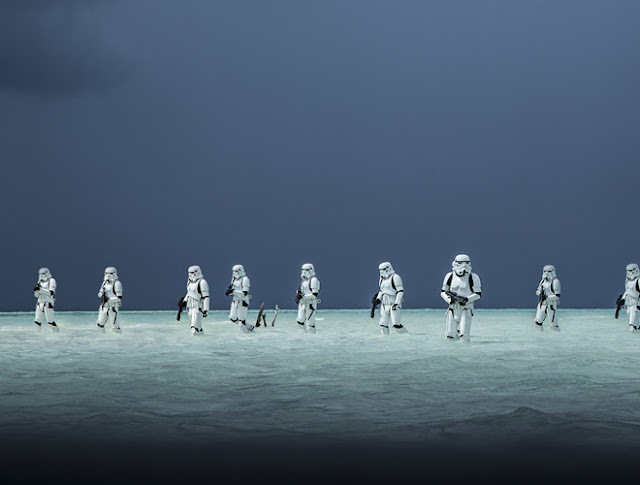 That means that in 2020 visiting one part of planet Scarif will become very, very easy. As it is right now, you have to go by boat. And what was filmed on Baresdhoo? There were no rebels when we visited. Just an older couple from a nearby island who were collecting coconuts. How anti-climactic. And who doesn't love a lovely beach, right? Right??? 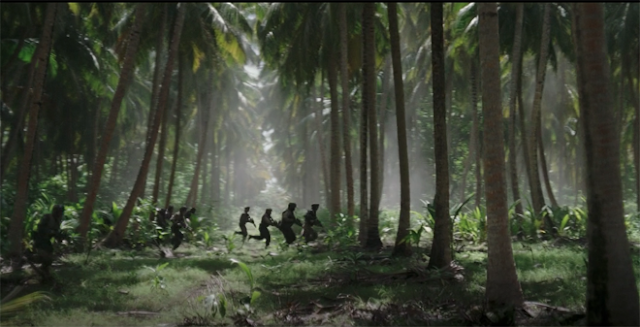 Sorry, I'm too lazy to search for a proper still from the movie right now. I'll try to add it later. And that's it for Baresdhoo. It was time to trek back to the boat. Apparently, visiting the next island during low tide was very important. Soon you'll understand why. 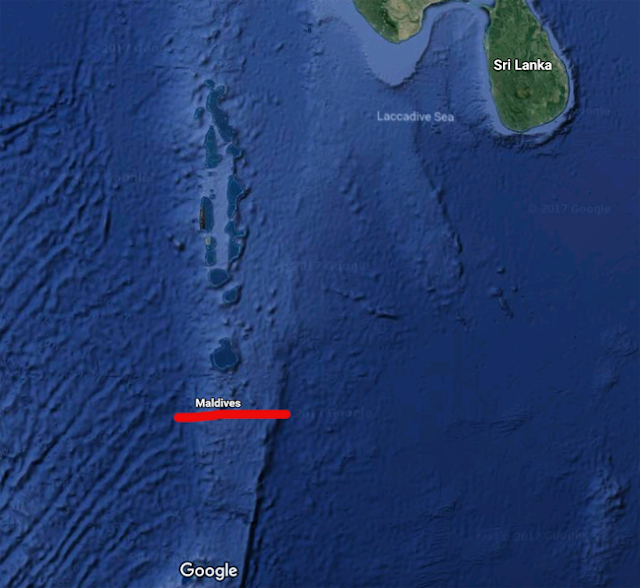 The next island is officially known as Holhurahaa, and unofficially as "Huraa". 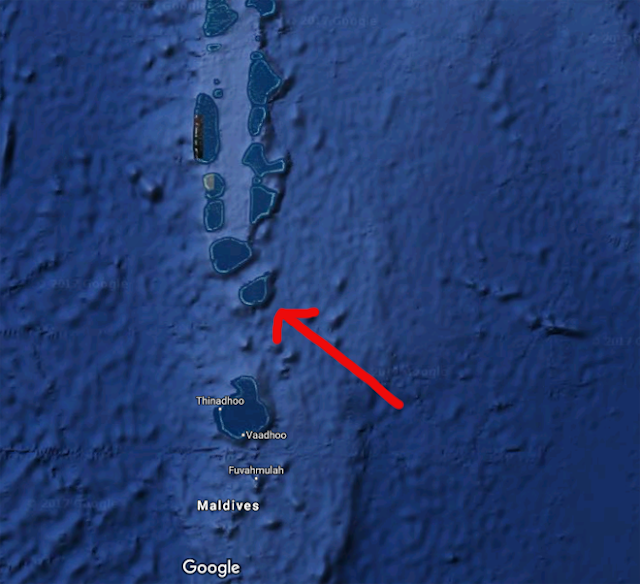 It's very confusing, because nearly every Maldivian atoll has an island named "Huraa", or some variation thereof. 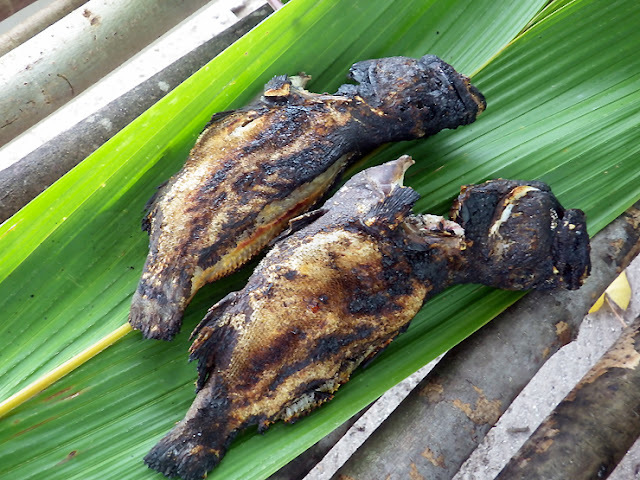 One of these Huraas is a popular guesthouse island famous for great diving. But that's not our "Huraa". It takes about 30 minutes by boat from Baresdhoo and the seas can get quite choppy as you have to cross two channels linking the inside of the atoll with the open ocean. 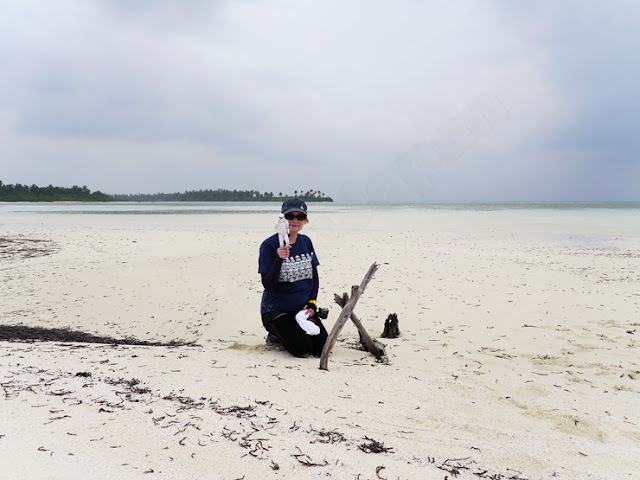 Because we reached this island during low tide, getting to the shore involved a long hike through the lagoon. What was filmed on this speck of sand? The ocean and the erosion almost ate up the remains of the tree. Next year it will be all gone. But for now, we can still enjoy the view of a famous dead tree stump in the middle of nowhere. And that's it for Holhurahaa. It was back to the boat and off to a picnic on a deserted island. We caught some lunch on the way. 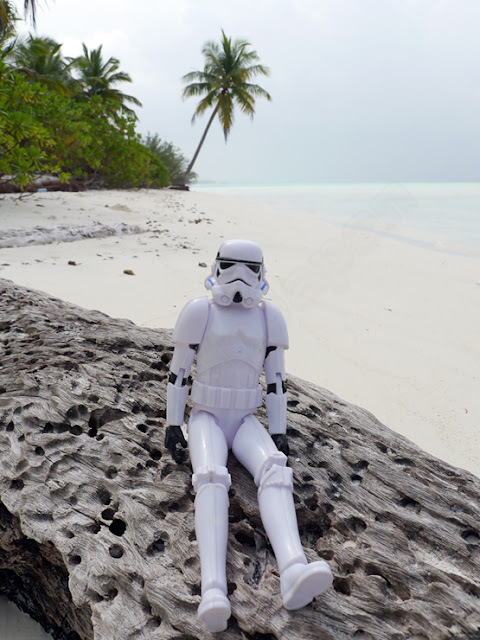 And this concludes part 1 of our visit to planet Scarif. In part 2 we'll go to Kuda Fushi. That's where all the REAL action was.